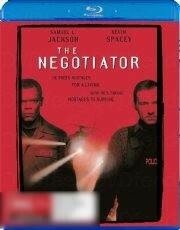 Synopsis: Maverick hostage negotiator Danny Roman is framed for embezzlement and murder. Newly married and unjustly faced with prison, Roman turns hostage-taker to smoke out the guilty ones. Squaring off against him is respected, methodical negotiator Chris Sabian. Under siege and racing the clock, the two lock in a deadly battle of wits. Bids only accepted by those with a greater than 90% feedback. (If you notice someone with a lower rating has put a bid on please let me know with a question, thanks). Always happy to provide combined p&p - just let me know and I'll let you know options after auctions close.